LAST UPDATE: AUGUST 17 2018 – Italian Serie A Transfer Deadline special! The FMInside FM18 Data Update is going next level with our latest update! Forget the 2017/2018 season because this is update gets you ready for the 2018/2019 season! We have completely overhauled the games database and created the first full compatible data update for the coming 2018/2019 season. What is in our latest update? And of course many more loans, free transfers and other changes to the FM18 database! Open FM2018 and start a new career. When selecting your database make sure the FMInside Data Update is selected. *IMPORTANT! Make sure to delete older versions of the update from the editor data folder. The update will be corrupted if you do not delete the old files. Be aware that using multiple Data Updates simultaneously could result in unexpected errors, corrupted data and crashes. FMI DATA UPDATE V13.11 OUT NOW! 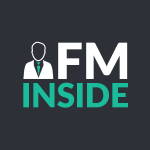 FM inside is a cool looking site. All major transfers up to november 26th 2017 have been updated and have been added to the game. All major transfers up to December 8th 2017 have been updated and have been added to the game. From the big leagues, to the small leagues; we update transfers! All major transfers up to December 15th 2017 have been updated and have been added to the game. All major transfers up to December 22nd 2017 have been updated and have been added to the game. Now also available for download in the Steam Workshop! All major transfers up to December 29th 2017 have been updated and have been added to the game. All major transfers up to January 5th 2018 have been updated and have been added to the game. •	And many many more! All major transfers up to January 8th 2018 have been updated and have been added to the game. No, because it is uncertain how many of the money goes into a clubs transfer budget. All major transfers up to January 12th 2018 have been updated and have been added to the game. All major transfers up to January 19th 2018 have been updated and have been added to the game. All major transfers up to January 26th 2018 have been updated and have been added to the game. Are transfers made on a real day? or if I start a save on any previous date, are the transfers already done? New update is out! Info and links have been updated! New version of the update has been added. @Fighters88 - In one of the previous versions we have been going through the Italian lower leagues and made lots of changes. The Supercups is something we are aware of and are trying to fix.